Tour both floors of this historic home at your own pace! Guided tour packages for groups of 8 or more are available with consultation only. Please contact us at (210) 223-9800 or villafinale@villafinale.org for tour package details and prices. Edward Steves was a German-born immigrant who came to the San Antonio area as a young man in 1849, during a period of heavy immigration from Germany to central Texas. He married Johanna Kloepper, also German-born, in New Braunfels in 1857. They established their home in Comfort, TX and welcomed their three sons, Edward Jr., Albert, and Ernest. Their life was simple and harsh, as could be expected on the frontier. 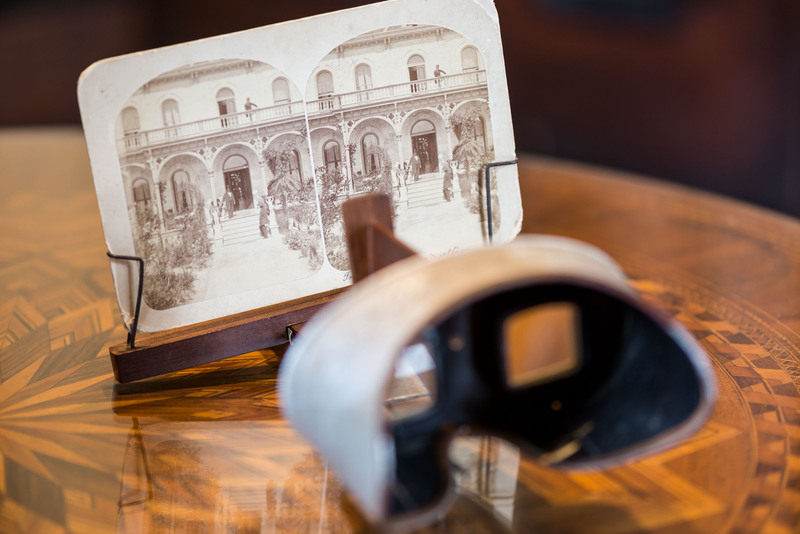 In 1866, the Steves family moved to San Antonio and opened the city’s first lumber company. From humble beginnings, the company grew and prospered. Ten years after its establishment, Edward and Johanna were able to begin construction on their home at 509 King William, in what would become the fashionable King William neighborhood. The house, a native limestone beauty with a signature mansard roof, was completed in 1877. Shortly thereafter, their three sons returned home from university and began work in the family business. Edward, Jr. and Albert married and moved into newly-built residences across the street from their parents, while Ernest remained at home. Edward Steves died in 1890 while Johanna lived on until 1930, adding onto the home and constructing the first natatorium, or indoor swimming pool, in the area. After Johanna’s death in 1930, at the age of 90, the future of 509 King William was uncertain. Ernest, the logical inheritor of the home, died three weeks before his mother. Edward Jr. was gone as well, and Albert lived across the street in his own impressive home. The neighborhood was in a decline and many grand old homes were being rented out, so the family chose to do the same, renting out the home for the next 22 years. 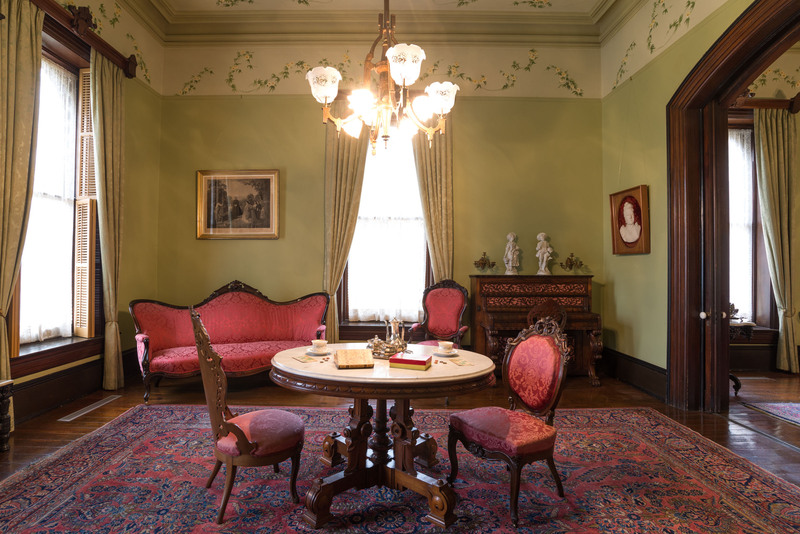 In 1952, Edna Steves Vaughan, the youngest granddaughter of Edward and Johanna, donated 509 King William to the San Antonio Conservation Society. 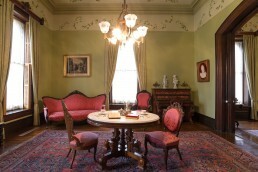 After a restoration period, the home opened to the public as a historic house museum in 1954. 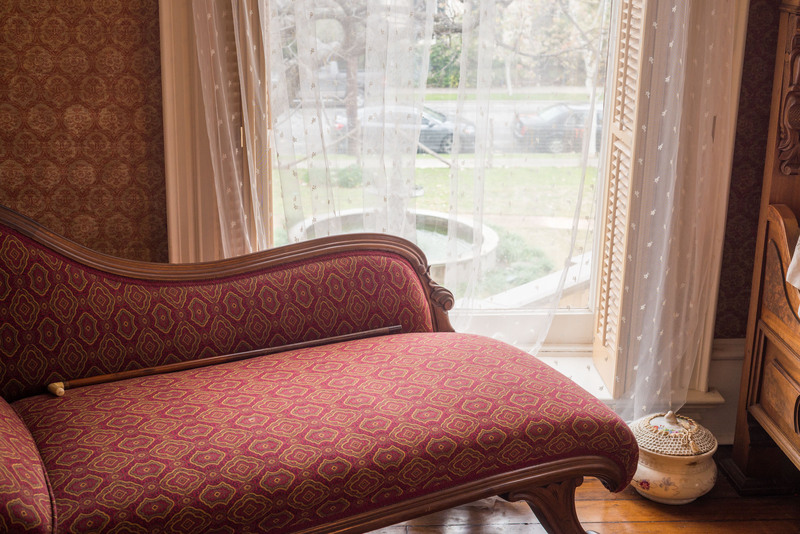 509 King William has seen some changes since those early days as a house museum. While the Steves Homestead was open for only an hour a day then, we’re now open 6 days a week, offering self-guided tours and guided tours for groups. The Homestead is also the site for educational programming for all ages and for parties and weddings. The home is still owned by the San Antonio Conservation Society and is operated by Villa Finale: Museum & Gardens.